Travel around the world and visit exotic destinations you have only dreamed of seeing in person! The best part? 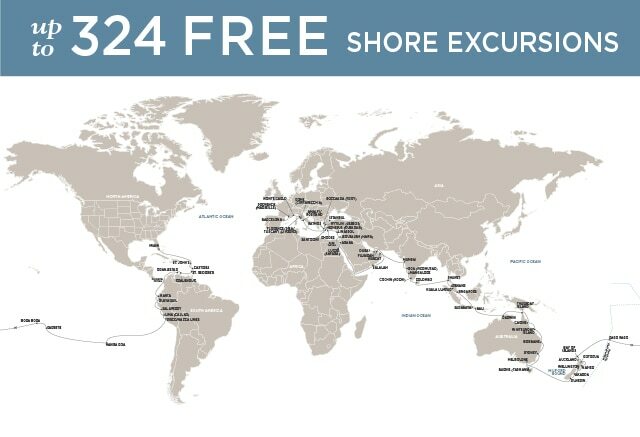 Unpack just once and visit more ports on one cruise than most people see in a lifetime. A world cruise is a life-changing event as you meet new friends from around the world, explore new cultures, try new experiences and cuisine, and find new passions. Your cruise ship serves as your home-away-from-home and after a busy day of sightseeing, you can hop back onboard for a delicious dinner and inspiring onboard activities. Your days at sea serve as a respite to relax, participate in fitness activities, play games, and plan for your next destination. 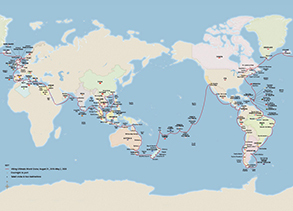 Our experts have been selling world cruises for over 20 years - contact us today to plan your world cruise! 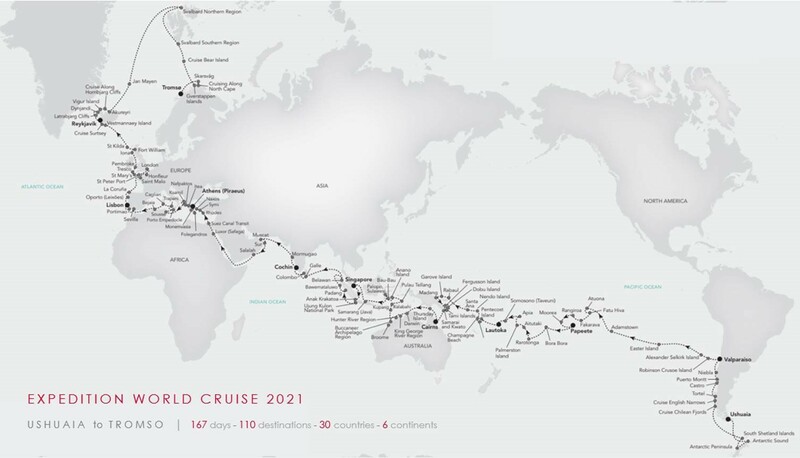 Princess Cruises Ultimate Adventure - the 2021 World Cruise! 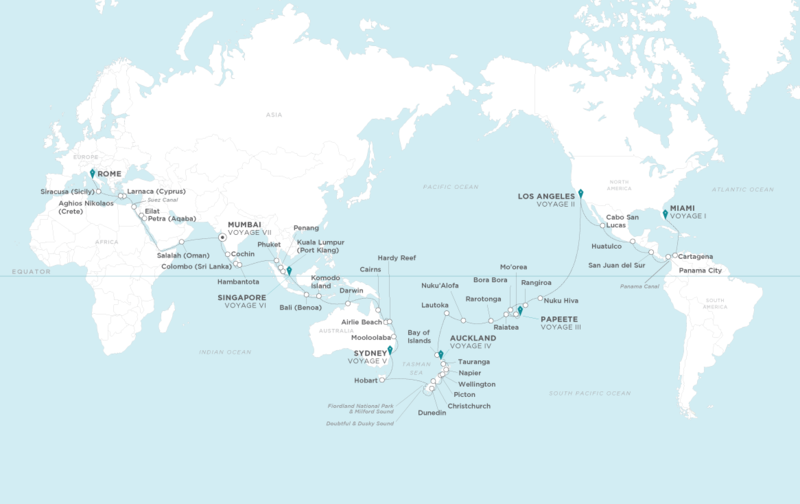 Book Early for Cunard's 2021 World Cruise Options! 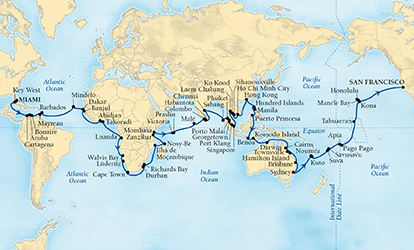 The Uncharted World Tour - Silversea's first expedition world cruise! 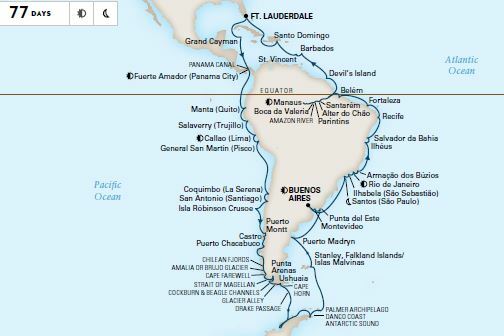 77-Day Circumnavigation of South America! 128-Day World Cruise Sailing Roundtrip Ft. Lauderdale - No International Flights! 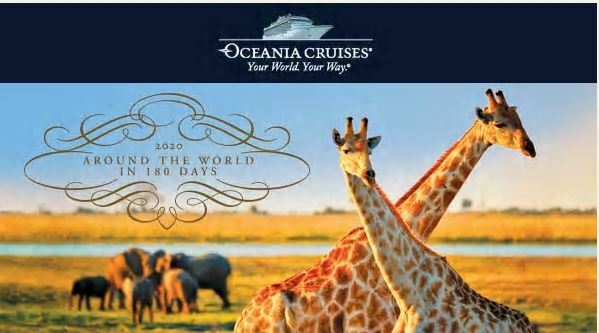 Around the World in 180 Days – Reservations Now Open for Oceania Cruises 2020 World Cruise!